After qualifying was cancelled due to weather (or the lack of rain) we started the race in 40th position. I knew going into the race we did not have a car capable of running in the top 20 but if I kept my nose clean and we did not make any mistakes we would have a shot at a top 25 finish. The race went green and I was able to gain a few positions but began struggling with front end grip. We pitted for fuel under the first caution and went back out on track. We continued just putting on laps until the end of the second stage. We came in the pits, put on tires, and rejoined the race. The race went green for the final segment of 25 laps and stayed green. We pitted for fuel only once inside our fuel window and rejoined the race. After rejoining the race and as my fuel load got lighter I began struggling for rear grip. I spun in turn 12 after wheel hopping the car but was able to rejoin the race. The struggles continued as I was unable to dial more front brake in the car and my tires were completely gone. I just tried to drive as smooth as possible trying to hold on to the end. We lost a couple positions in the closing laps but finished the race in 29th. I was rather frustrated knowing we had a chance at a top 25 finish, but grateful we were able to bring the #17 Trudell Performance, PFA Inc., NW Shelby Club, Marshall Masonry, and Roto Rooter car to the finish. I cannot thank everyone at Mike Harmon Racing and Veterans Motorsports enough for all their hard work and help this weekend. 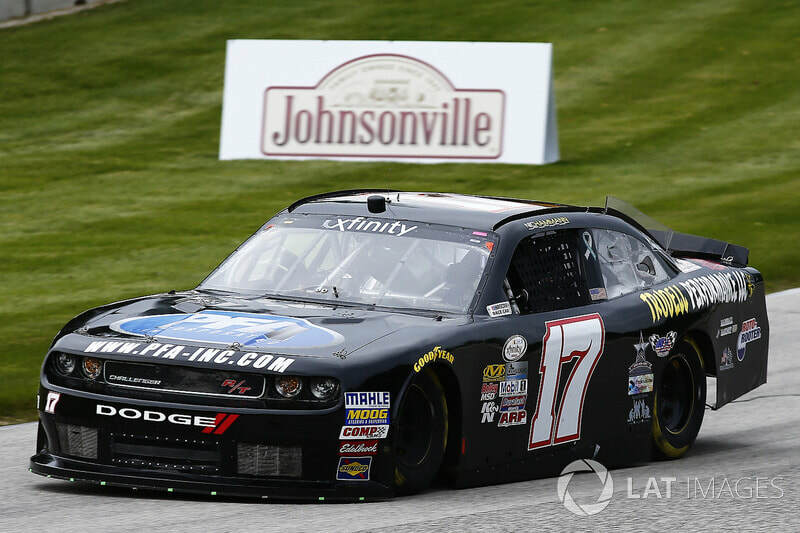 We struggled all weekend with the brakes and the handling on the #17 Dodge Challenger but to finish inside the top 30 after starting 40th is an achievement in itself. To be racing in NASCAR Xfinity at my home track of Road America is a dream come true and I cannot thank all my sponsors enough for partnering for this race. Big thanks to Jeff Trudell, from Trudell Performance, as well as Chris Klimowicz, from PFA Inc, Dave Marshall from Marshall Masonry, and Brandon Aulik from Roto Rooter. Without all your support we would not have been able to race in the event. Also a big thank you to the Northwoods Shelby Club, every since I was old enough to walk I was attending events with the club and to see how far the club has come from my early years is truly incredible and thank you for all your support. I hope to continue to gain more experience in the future racing on road courses in NASCAR and hope that with the continued support of my sponsors we can make this a reality. If you too want to partner for future races please send me an email/call. Also a big thanks to all the family and friends that attended the race, seeing you all there cheering means the world to me and I could not do any of this without all of you! Stay tuned for more updates and thank you all for your continued support.